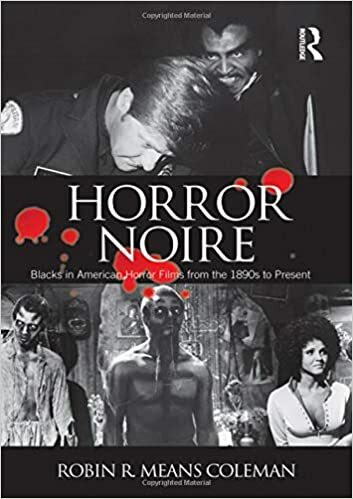 Horror Noire: Blacks in American Horror Films from the 1890s to Present by Robin R. Means Coleman is a compelling and comprehensive reflection on the history of Black representation in horror cinema. Coleman (Associate Professor in the Department of Communication Studies and in the Center for AfroAmerican and African Studies at the University of Michigan) is incredibly thorough in her research. Horror Noire moves through several decades – from Pre-1930s to the 2000s – to study the way that racial representation has developed in American cinema. Horror – as a genre – has always pushed boundaries. One might say that is the point; to frighten, provoke, and challenge viewers. Coleman’s book explores how – because of its provocative nature – the horror genre can be used to turn a critical eye on the ways that black characters and culture are both presented and represented. 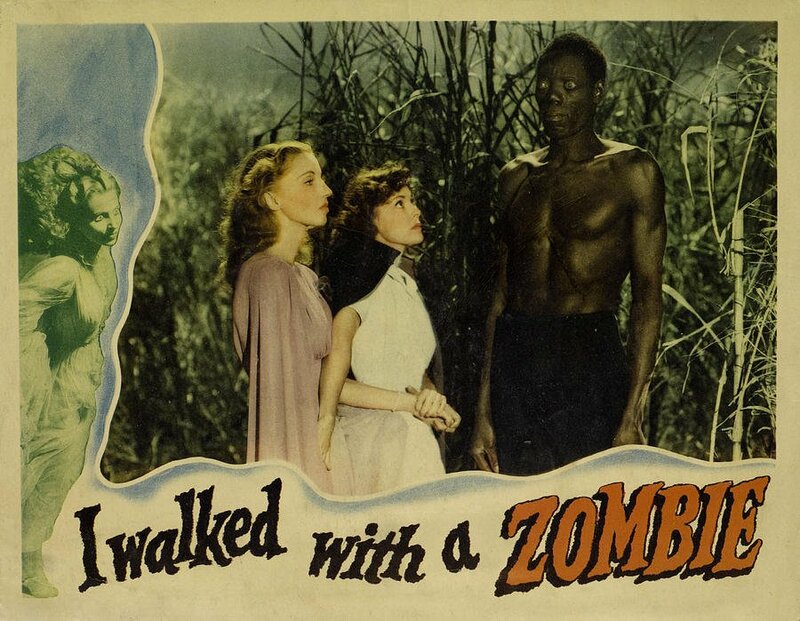 Coleman shows how films like Night of the Living Dead (1968) were instrumental in reprogramming the primitive voodoo zombies in movies like The Magic Island (1929) and White Zombie (1932), while still delivering a powerful message about race relations and civil rights. In Horror Noire, Coleman explains her points and details each example with clarity and passion. As a white woman from Canada, I am poorly equipped to speak on the subject of black history in America. Let’s just get that out of the way. That said, Coleman presents compelling arguments about representation and cultural stereotypes that are both enlightening and provocative. She dissects a variety of sub-topics that include the treatment of monsters in classic cinema – like King Kong and Frankenstein– and how their stories parallel the racist overtones in Birth of a Nation; the attack on Black sexuality in films like Ingagi; the perpetuation of minstrelsy in the 1940s; and rising themes of Black pride and empowerment with films like Blacula (1972). Coleman defines the terms “Blacks in Horror” and “Black Horror” and uses them as defining categories throughout the book. These perspectives give a critical look at a long period of genre films that by turns exploited, sidelined, and eventually embraced Black filmmakers and Black audiences. As a book, it’s perhaps more textbook than novel; in fact, Horror Noire was used as a text for author-educator Tananarive Due’s UCLA class focused on Black Horror (called “The Sunken Place”). But that shouldn’t scare you off; the book is deeply insightful and written with a relaxed tone that flows through each chapter. Horror Noire succeeds as an educational and highly informative work of literature. Shudder has gone on to create a documentary feature based on the book, which airs February 7th and features interviews with filmmakers Ernest Dickerson (Bones), Rusty Cundieff (Tales from the Hood), Jordan Peele (Get Out), and Tina Mabry (Mississippi Damned); actors Keith David (The Thing), Tony Todd (Candyman), Ken Foree (Dawn of the Dead), and Paula Jai Parker (Tales from the Hood); and authors Tananarive Due (My Soul to Keep) and Dr. Coleman herself. February is both Black History Month and Women in Horror Month, so it feels like the perfect time to celebrate and appreciate this brilliant and comprehensive book. As someone with only a passing knowledge of how important Romero’s Night of the Living Dead and Dawn of the Dead were to Black representation in the horror genre, reading this book was top of my list. And I’m grateful that I did, as it provided me with a rich, thorough, and valuable history lesson that has affected the way that I watch horror. Horror Noire will broaden your perspective on horror as a genre and inspire you with a whole new watch list of titles to explore. I can only just barely scratch the surface of this book’s content here, so instead I will strongly suggest you check it out for yourself. Horror Noire will broaden your perspective on horror as a genre and inspire you with a whole new watch list of titles to explore.